We are officially on a streak in the Ralph house. 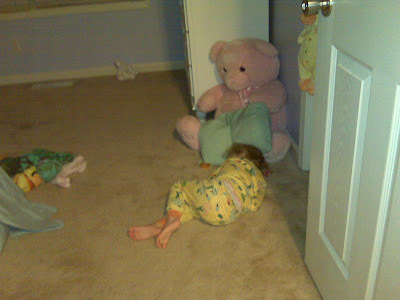 Addi has officially slept in her room every night this week (and went to sleep with only mild angst, I must add)! The weird news... she doesn't always sleep IN her bed. This is where I found her this morning.